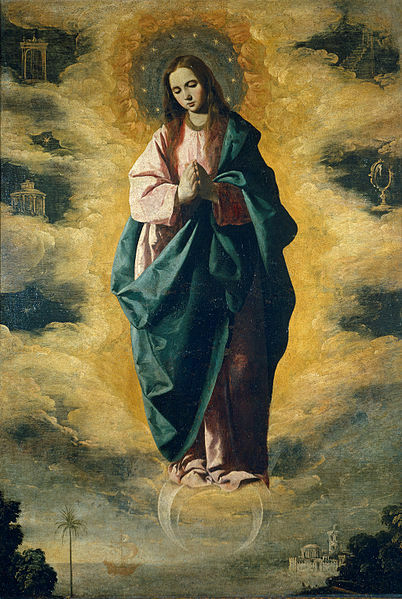 January 1, 2019 is the feast of the Solemnity of Mary, the Holy Mother of God. 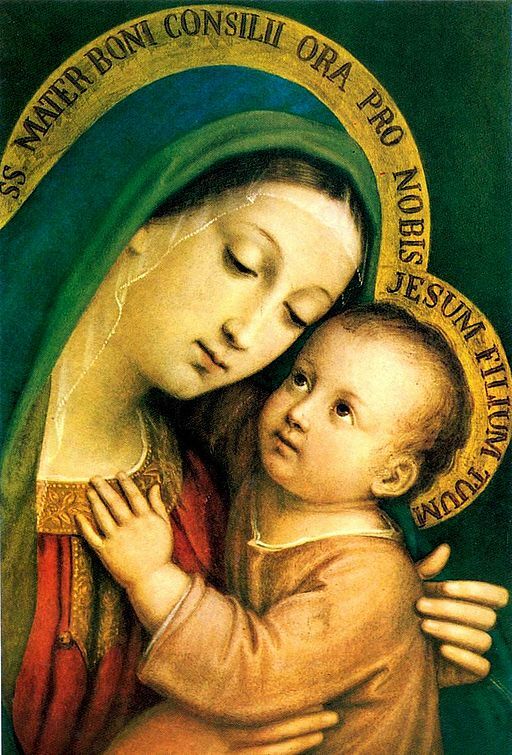 Let us begin the new year by drawing closer to the maternal heart of Mary. 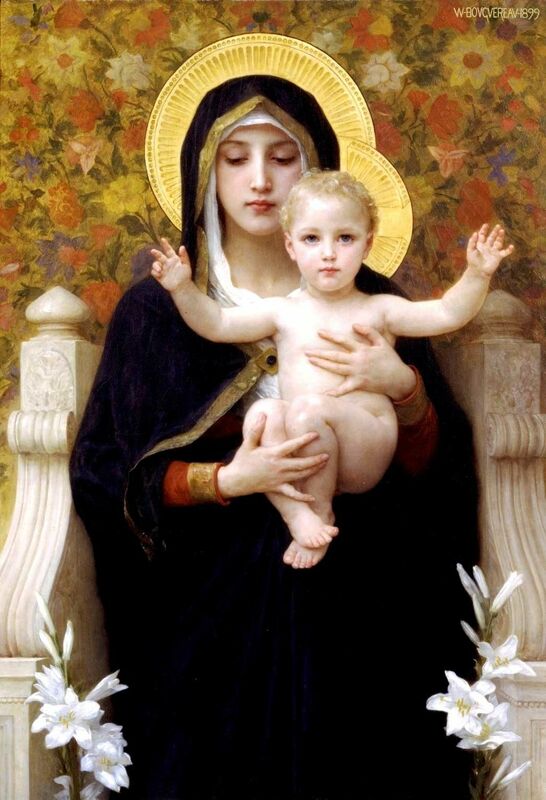 “And why am I so honored, that the mother of my Lord should come to me?” (Luke 1:43). There are two extremes we must guard against in our theology of Jesus. 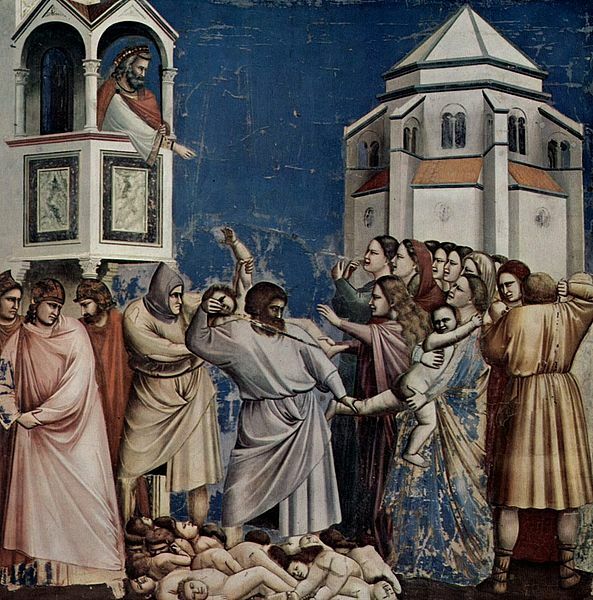 The one extreme overemphasizes the Divinity of Jesus to the detriment of his humanity, and the other extreme overemphasizes the humanity of Jesus so as to almost downplay his Divine life. In modern Scripture scholarship the later course has enjoyed considerable popularity even to the extent of questioning the Divinity of Jesus. But on Christmas day we see a perfect blending of Jesus’ two natures (fully God and fully man), for he is clearly a helpless infant boy whom shepherds and angels and even magi come to worship! In this context, Bethlehem does not shy away from clearly proclaiming both the humanity and Divinity of Jesus. As F.W. Faber says, “Bethlehem is an ocean of worship.” Faber himself identifies nine types of “first worshipers” of the babe of Bethlehem (Bethlehem, p. 203), but in this short note I will quickly focus on just three of them. To worship Jesus, of course, is the supreme acknowledgment that he is both God and man. And what do we need now, more than ever, then a “more fervent worship of the Eternal Word” (Id at 247). Bethlehem draws us into this ocean of worship. And as Faber reminds us, “Worship is our highest thought…worship alone is power” (Id, 70-73). Are you looking for more power in your spiritual life? When the Magi (or Three Kings) finally made their way to the crib of Jesus they did something amazing! They kneeled down! The Gospel says: “They fell down and worshiped him” (Matthew 2: 11). “The gifts of the Magi signify the mystery of Christ Incarnate. Gold, a symbol of royalty, represents the kingship of Jesus. Frankincense, used in the worship of God, points to his divinity. Myrrh, a burial ointment, signifies the humanity of Christ, especially in his Passion and death” (Ignatius Catholic Study Bible). 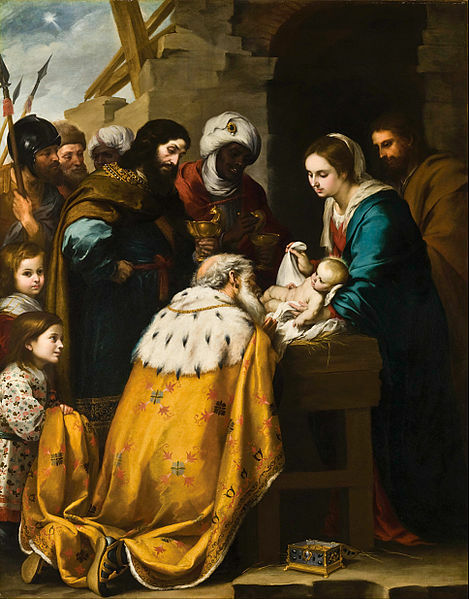 A noted scripture scholar states: “The visit of the Magi is a brief episode in the Christmas story, but we cannot exaggerate its importance. It signals the salvation of the whole world….God had extended joy to the world, and the world [represented by the Magi] responded with worship” (S. Hahn, Joy to the World, as edited, pp. 114-115). We read in Luke’s Gospel about shepherds in the vicinity of Jesus’ birth. “And there were shepherds living out in the fields nearby, keeping watch over their flocks at night. An angel of the Lord appeared to them, and the glory of the Lord shone around them, and they were terrified. But the angel said to them, ‘Do not be afraid. I bring you good news that will cause great joy for all the people. Today in the town of David a Savior has been born to you; he is the Messiah, the Lord. This will be a sign to you: You will find a baby wrapped in cloths and lying in a manger’ ” (Luke 2: 8-12). Right then and there a whole host of angels broke out in worship! The Scripture says: “Suddenly a great company of the heavenly host appeared with the angel, praising God and saying, ‘Glory to God in the highest heaven, and on earth peace to those on whom his favor rests.’ When the angels had left them and gone into heaven, the shepherds said to one another, ‘Let’s go to Bethlehem and see this thing that has happened, which the Lord has told us about.” So they hurried off and found Mary and Joseph, and the baby, who was lying in the manger. When they had seen him, they spread the word concerning what had been told them about this child, and all who heard it were amazed at what the shepherds said to them” (Luke 2: 13-18). “Worship is what angels do….A gathering of angels is a clear and unmistakable sign of God’s presence and his favor. For both Matthew and Luke, the angels of Christmas are a sign that God is present among his people in Jesus….The holy angels were those who were willing to follow God in his descent to earth and worship him there” (Joy to the World, as edited, pp. 87-92). Father Faber states: “Next to that of Mary and Joseph, theirs [the Shepherds’] was the first external worship earth offered to the new born Babe of Bethlehem. Simplicity comes very near to God. Such are the men the Babe calls first….They come to worship him, and their simplicity is joy, and the voice of joy is praise. God loves the praise of the lowly….The very simplicity of the Shepherds would not let them keep their praise a secret to themselves” (Bethlehem, as edited, pp. 179-181). 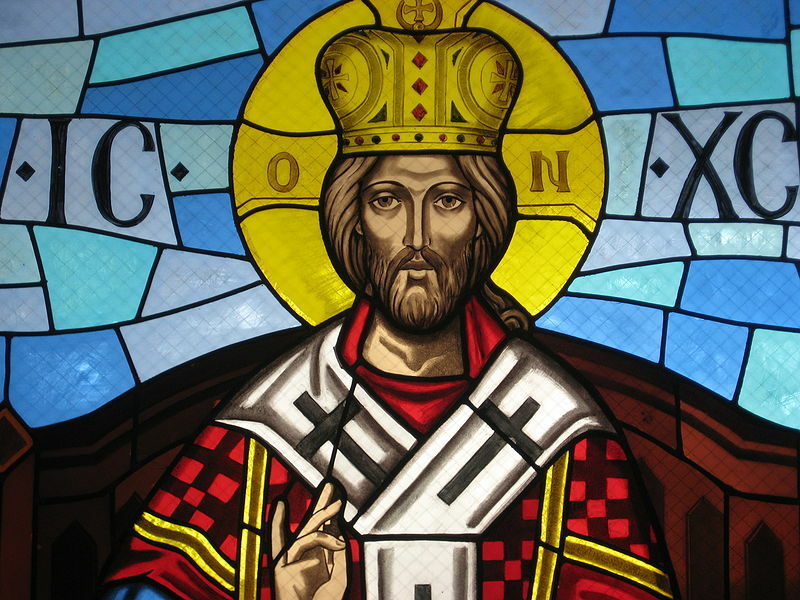 IS THE DOCTRINE OF MARY’S PERPETUAL VIRGINITY BIBLICAL? 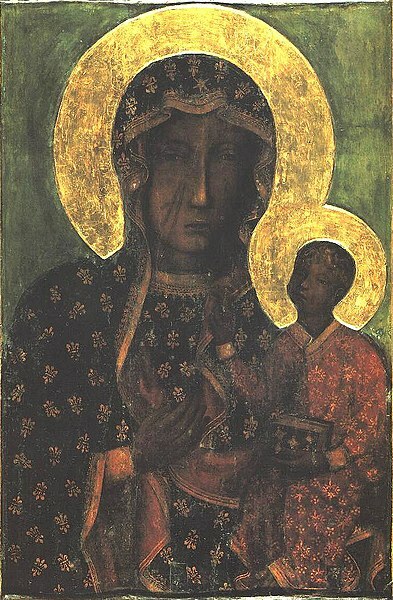 Image: Black Madonna of Częstochowa (Public Domain, U.S.A.). Pope Francis prayed in front of this famous icon during his World Youth Day visit to Poland in July of 2016. 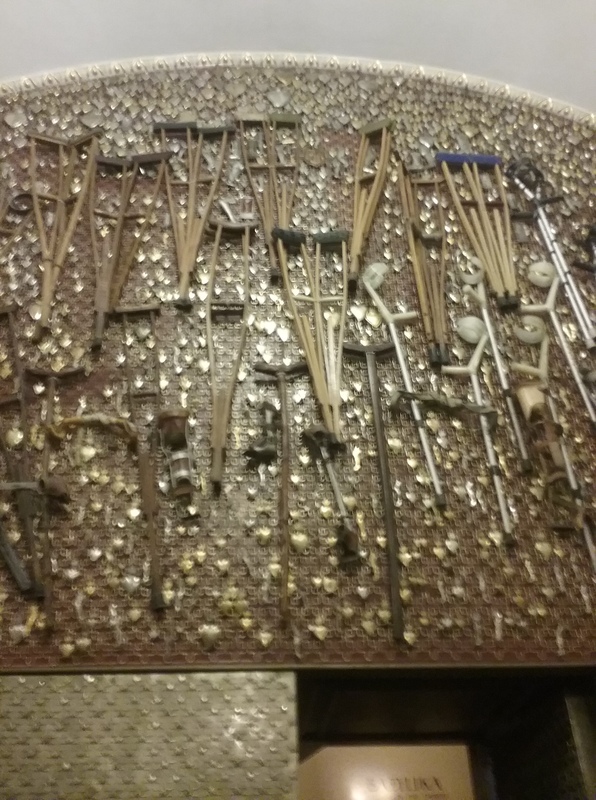 According to Joan Carroll Cruz, “the miracles attribited to Our Lady of Czestochowa are numerable and spectacular.” When my daughter Bridget Mulcahy visited the image in question at the Jasna Gora Monastery in Poland (during her WYD pilgrimage) she took the following photograph of the “wall of crutches” there which speaks to the miraculous, healing intercession of Our Lady of Czesochowa. Thanks Bridget!